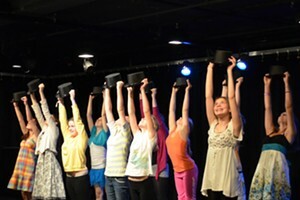 Bake Sale | The Kids Beat | Kids VT - small people, big ideas! The bite-size, chocolatey squares being sampled at Natural Provisions in Williston last month were decadent, even by brownie standards. The sweet treats, fittingly dubbed Vermont Mud Brownies, contain raisins and walnuts sandwiched between two layers of semisweet chocolate and topped with fluffy meringue buttercream. The recipe also includes coffee and Vermont maple syrup. The unconventional ingredients aren't the only thing that makes these brownies stand out. They're made by students in the culinary arts program at Burlington Technical Center, and stocked by both Natural Provisions and Healthy Living Market & Café in South Burlington under the wholesale goods brand name Burlington Tech Center Culinary Creations. The idea to sell brownies outside the school — and the recipe itself — comes courtesy of Cheryl Niedzwiecki, the culinary instructor at Burlington Tech. Niedzwiecki thought the experience of pitching a product to local businesses would give students real-world experience in entrepreneurship. She hopes to expand the selection of student-made wholesale food items to chutneys, pickles and vegan desserts. Burlington High School senior Theo Buker was one of the students who wrote and delivered the short elevator pitch that convinced the two stores to carry the brownies. Bringing samples of the product also helped, he said, recalling that as soon as a staffer from Natural Provisions tasted one, "it was like, Oh, yes!" 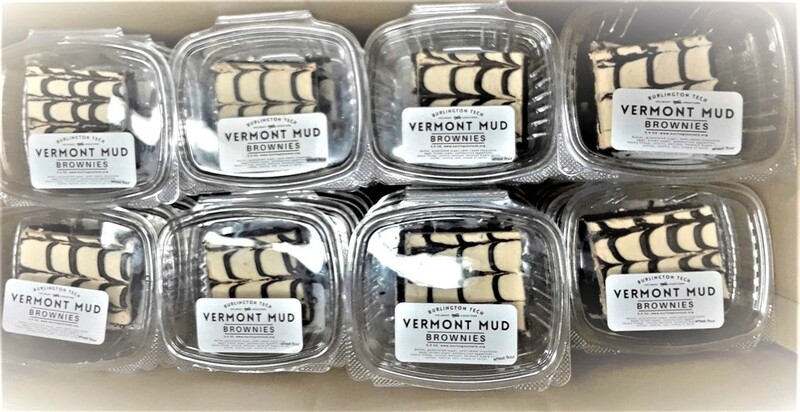 Find Vermont Mud Brownies in the refrigerated section of Natural Provisions and the refrigerated and freezer section of Healthy Living. To learn more about Burlington Technical Center's culinary arts program, visit btc.bsdvt.org. or BTC Culinary Arts and Champlain Café on Facebook. The program's student-run Champlain Café is open to the public for lunch and takeout on Fridays. Students will also be offering special Valentine's Day treats for preorder.